You are the world famous Mystery P.I. and you've been hired by Grandma Rose to find her winning $488 Million lottery ticket! Retrace Grandma's footsteps to collect clues by finding over 2100 cleverly hidden objects and solving Make-A-Match memory puzzles! 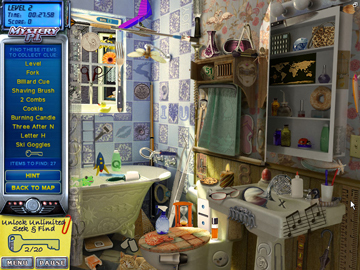 As your investigation skills improve your P.I. rank increases -- strive for a "Perfect Investigation" to get big bonus points and move up the rankings even faster! It's all in a day's work for the Mystery P.I.! 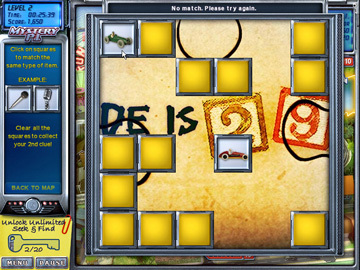 Discover two game modes: Find the Ticket and Unlimited Seek & Find. 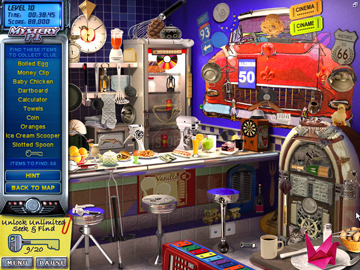 Find over 2100 hidden objects. 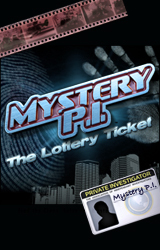 Score huge bonus points with a Perfect Investigation!